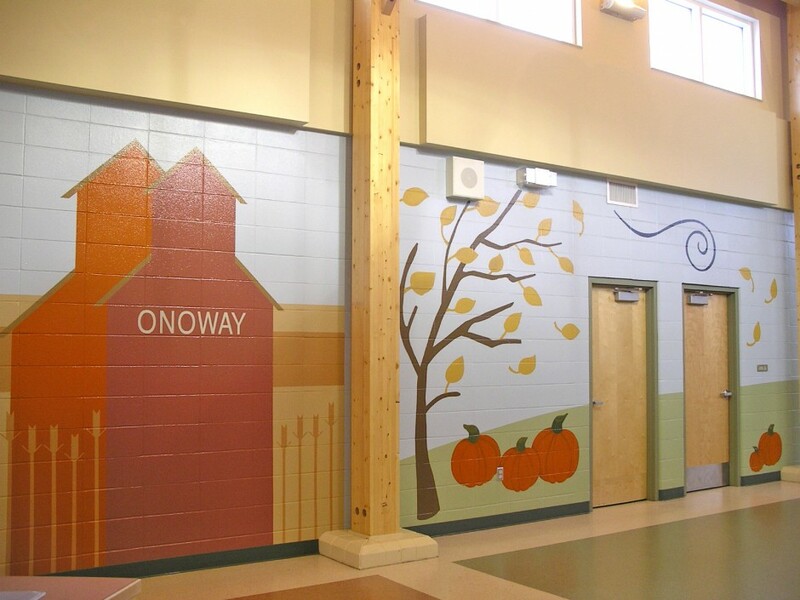 This replacement 600 student elementary school was completed in June 2007. It features a central, daylit interior “street”, with features such as a waste separation / recycling centre and free-form bench seating for informal student gatherings. 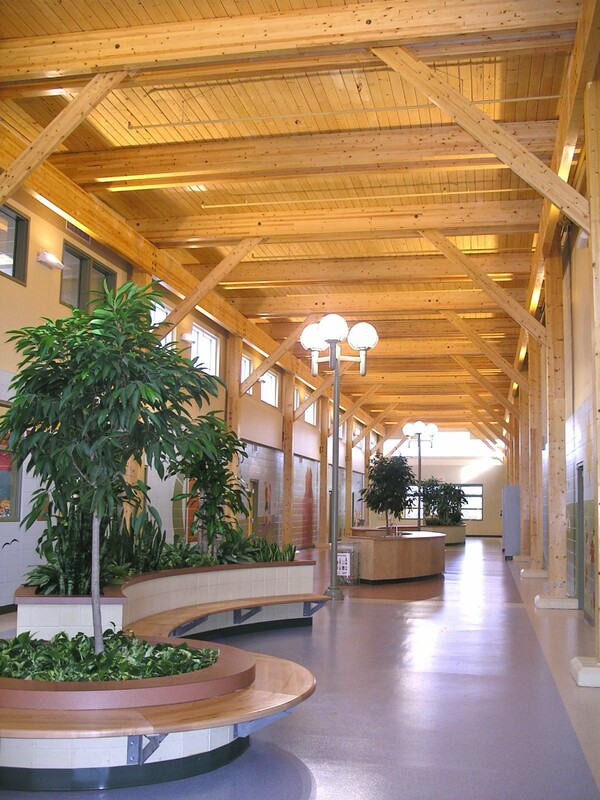 An abundance of natural building materials and angular forms in the common area create a warm & welcoming, yet dynamic atmosphere for students, staff and visitors.